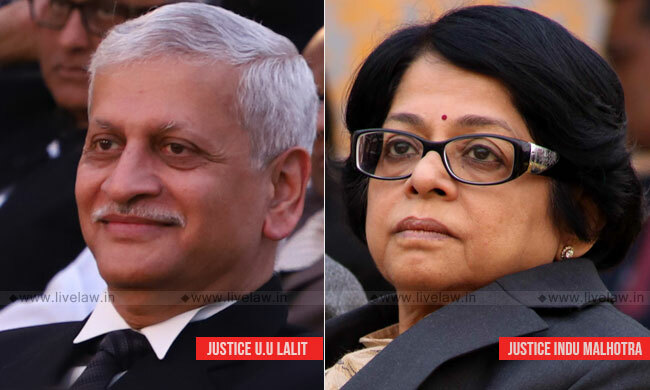 The Supreme Court bench of Justices U. U. Lalit and Indu Malhotra on Wednesday posted to February 19 for final hearing a string of petitions challenging the 2018 amendment to the Scheduled Castes and Scheduled Tribes (Prevention of Atrocities) Act. The bench however, declined to stay the operation of the Amendment. Besides, the review petitions pending against the verdict of a two-judge bench of the apex court of March 20 last year in Dr. Subhash Kashinath Mahajan v. State of Maharashtra shall also be decided on the same date. By way of the Amendment, a new section 18A has been inserted in the Act of 1989, which does away with the court-imposed requirements of undertaking preliminary inquiry and of procuring approval prior to making an arrest. It also restores the unconditional ban on the grant of anticipatory bail in the event of an offence under the Act. The decision in Subhash Kashinath Mahajan was followed by a massive unrest across the nation, in the wake of which the Union of India and several state governments had sought a review of the same. However, the bench of Justices Adarsh Kumar Goel and Lalit had refused to relent. Last week too, a bench headed by Justice A. K. Sikri had refused to stay the Amendment, referring the matter to the Chief Justice for the reconstitution of a bench which Justice Lalit is a part. The bench had also suggested that it would be appropriate to hear the two sets of petitions- the challenge and the review- together. On a 'mention' by Attorney General K. K. Venugopal on Friday, Chief Justice Ranjan Gogoi had said that he will consider listing the Centre's review plea and the petitions challenging the amendments to the Scheduled Castes and the Scheduled Tribes (Prevention of Atrocities) together before an appropriate bench. Topics : SC/ST Amendment | Supreme Court | Subhash Kashinath Mahajan | Scheduled Castes and Scheduled Tribes (Prevention of Atrocities) Act.